Wet Time Is It? | The Pinnacle P.O.V. How do you measure time? 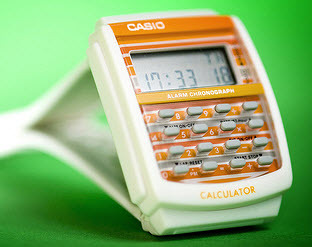 I remember when all the cool kids at school had calculator watches – these amazing devices that combined a calculator with a watch and took up half of your arm. Today, they are just one of many antiquated time keepers in our historic past – and I’m not admitting to how far in the past they were. Cell phones, iPhones, iPods, PDAs and lap tops are the preferred devices for capturing the ticking of hours and minutes in modern culture. Wrist watches have become more fashion accessories than actual time keepers. Between the “totally rad” calculator watches of my youth and the slick iPhone’s of today very little time has actually elapsed. 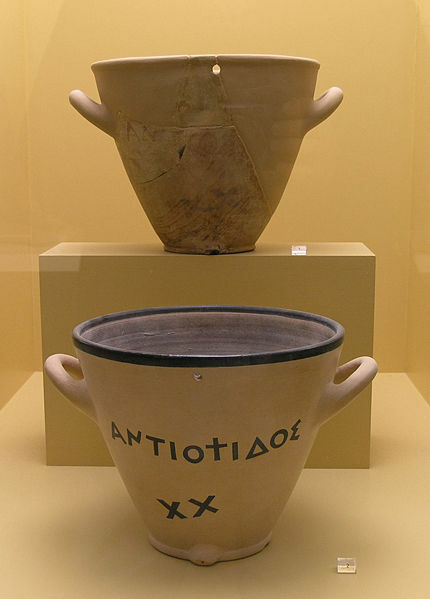 However, more than 4000 years has passed since the very first time recording device made an appearance as a prop in the production of humanity. Before the advent of plastics, metal, and glass, from which our modern time pieces are constructed, there was water, dirt, and sticks. Our early ancestors used the great time piece in the sky, referred to as the sun, to track the passing of time. Life revolved around its rising and setting. However, as man began to expand his horizons, both physically and mentally, he demanded a more precise means of tracking those risings and settings. The earliest means of tracking time were sundials and water clocks. Some scholars site evidence of water clocks in China as early as 3000 BC. Both methods for tracking time had their advantages and disadvantages. Sun dials work well on bright sunny days, but not so well during cloudy dark days. Water clocks can be inconsistent due to the properties of water – evaporation, freezing, and its flow is subject to change in pressure. Today we still see sundials scattered about, usually more as garden decorations. However, you’d be hard pressed to find a water clock. These dynamic time pieces were eventually replaced by the pendulum clocks of the 18th century, but their construction and use laid the foundation for our modern watches and clocks, including my super cool calculator watch. Joe Kissell, a self proclaimed “author, computer geek, traveler, and dreamer living in Paris”, gives more insight in to these early watery time keepers…. So next time you check the time on your iPhone, cell phone, or laptop, be grateful you don’t have to carry around a bowl of water with a drip hole. Carpe Diem! ~ by azmegan on November 21, 2009.